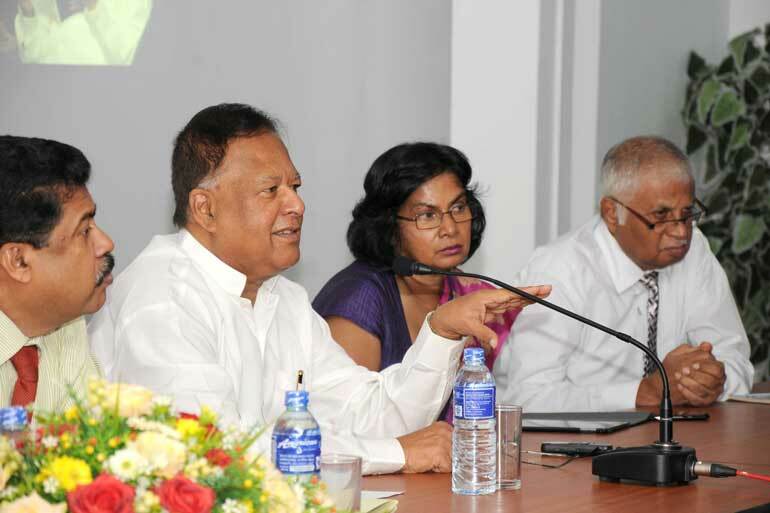 Addressing a meeting of heads of research organisations, including universities, Minister of Higher Education and Research Dr. Sarath Amunugama said recently that Sri Lanka should pay more attention to the registration of industrial and other patents by Sri Lankan researchers and innovators. The Head of the National Intellectual Property Organisation which is the Patent Office in Sri Lanka was also present at this meeting. Dr. Amunugama pointed out that patents were the usual channel through which technological innovations have entered the production process in the present developed counties. The patent is an incentive to the innovator to innovate and thus contribute to the enhancement of productivity in economic activity and to the increasing of human welfare in other fields like agriculture and health. Dr. Amunugama said that Sri Lanka’s record in regard to the registration of patents was dismal in comparison with even our smaller neighbours, not to speak of giants like India and China. Therefore he said there was an urgent necessity to change this situation. He said that his Ministry would do everything possible to encourage researchers and innovators and help them to get their innovations patented so that they will have the opportunity of exploiting them commercially, with benefit to themselves and the country. Several important decisions were taken at this meeting. In order to clear a back log of patent applications pending in the Patent Office due to inadequacy of competent staff, a new procedure of referring applications to expert panels for vetting will be adopted with the help of the University Grants Commission. It is intended to clear this backlog before the end of the year. The Minister offered to provide Rs. 10 million each to two selected universities, in the first instance, to defray the expenses of seeking international patents for selected innovations by researchers of these universities. He also requested other research organisations including universities to set apart some funds from their annual budgets to assist their researchers to seek the patenting of their innovations. The Minister will next pay attention to the matter of promoting the commercialisation of registered patents. Secretary of the Ministry Piyasena Ranepura, Vice Chairman of UGC Prof. P.S.M. Gunarathna, CEO of Sri Lanka Institute of Nano Technology H. De S. Wijerathna, Director of National Institute of Fundamental Studies Prof. C.B. Disanayake, Secretary Dr. P.D.B. Wanduragala, Chairman of Industrial Technology Institute Niroshan Perera, Deputy Director General of Athur C Clarke Institute for Modern Technologies K. Ediriweera, Acting Director General of National Science Foundation Dr. Seetha I. Wickramasinghe, Chairman Srimalee Fernando, Executive Secretary of National Research Council M.C. Rajapaksha, Chairman Prof. H.J. De Silva, Director General of National Intellectual Property Office G.R. Ranawaka, Vice Chancellors of Universities, Deans and heads of research institutes were also present.